How to Play AVI Home Movies on TV? AVI, Audio Video Interleave video file format is developed by Microsoft mainly for Windows operating systems. Audio and video can be played in synchronous format without any halt in the video. AVI file format can be played with various media players like AVI media player, Media player classic, Plex and many others. Can’t view the AVI files on your TV? That happens and as common, not only to you! An AVI file is a very complicated format that can be encoded in various ways and your TV just won’t be able to recognize all of them. AVI can also called the “Container” format, which the real things are behind it. Well, it’s hard to find the right codecs and install them accordingly. So, if you are not such a technical guy, it’s better to try out the easier and quicker way; encode them to TV best accepted format H.264 MP4 for two reasons. First, MP4 is widely used on the most popular devices. Second, MP4 has a much smaller file size and meanwhile remain the high video quality. 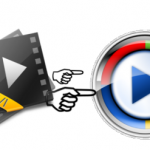 In order to save you from complex running steps, here suggest you Pavtube Video Converter for Mac/Windows. You may worry about the output quality and the degradation. No need to worry about this aspect, this all-in-one converter will maintain the quality as the original one and even bring it to a higher level. Step 1: Run the best AVI Converter, and click the “Add video” button to load AVI home movies. If you want to load several files at one time, “Add from folder” button is available. Step 2: Click “Format” bar to determine output format. 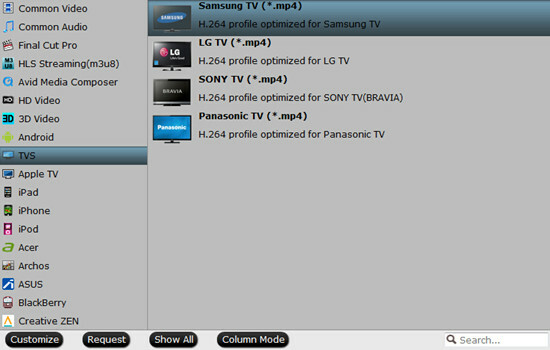 Follow “TVs” and select suitable one as the output format. Step 3: Click “Convert” button to start converting AVI to MP4 for TV playing. You can get the generated files by clicking “Open” button. Conclusion: Don’t forget to choose the file location. If you happen to forget to set it, you can find your converted files in the default location by clicking “Open output folder”. Can’t Play AVI Files in Window Media Player? How to Play MKV on Philips TV?